Recently, I’ve been thinking a lot about the future of local newspapers in the US. As part of a project for the Tow Center for Digital Journalism, Dr Christopher Ali and I have interviewed more than 60 editors, reporters and experts, as we seek to understand the state of this industry. 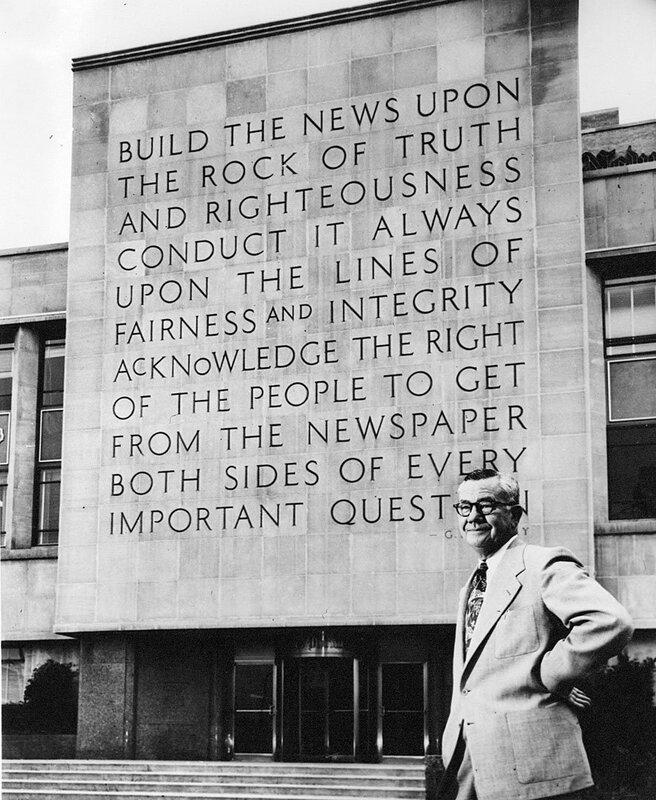 During these conversations, the Dallas Morning News has consistently been identified as an exemplar; a legacy publication which has successfully evolved and prospered in the face of digital disruption. As a result, based on our discussions with VP and Managing Editor Robyn Tomlin, here are seven lessons that we wanted to share with readers of TheMediaBriefing. Paywalls remain commonplace in the US, although a broad range of subscription models are being used across titles and regions. Following attempts to deploy a hard paywall, and later a mixed premium vs free site, the team has now employed a third approach: the metered model. Around third of their digital audience is local and “40-50 percent is in Texas,” Tomlin told us. Nonetheless, the local audience is more valuable, she notes, delivering a higher CPM, and being the primary focus of their advertising efforts. Within this, audiences tend to gravitate towards three main brands – the main Dallas News brand, GuideLive, an entertainment brand, and SportsDay. Each brand is approached differently. And, as others have done, the paywall can be dropped. When a shooting in Dallas this July led to five police officers being killed, the paper took down the paywall on news content for six days. This is an area Tomlin believes may develop further, with insights from second and third parties being “layered” on top of their own data. Similarly, Tomlin suggests, the opposite might also be true. “That was a big change,” she acknowledges. For Tomlin, this means embedding values and culture through new products, workflows and structures, as well as the way you tell stories. One significant change at the paper has been to their traditional meeting structure. Instead the day kicks off at 9am with a session called “the Headline Rodeo,” led by the audience development editor. “In Dallas, I think we’ve weathered the storms better than many other places,” Tomlin states. Alongside restructuring the print product and personnel, the company has also actively sought to diversify its revenue. “Our company and our CEO, who’s really amazing, Jim Moroney, [made it] a priority years ago in saying we need other sources of digital revenue to try to supplement what we’re going to get from the straight advertising. Diversification, coupled with increased subscription costs, sit alongside non-revenue raising events and experiments on emerging platforms like Facebook Live. His project for Tow (with Dr. Christopher Ali), Local News in a Digital World: Small Market Newspapers in an Era of Digital Disruption, examines how small market newspapers in the United States are responding to the shift to digital technology in everything from editorial content to distribution to advertising. It will be published in early 2017.